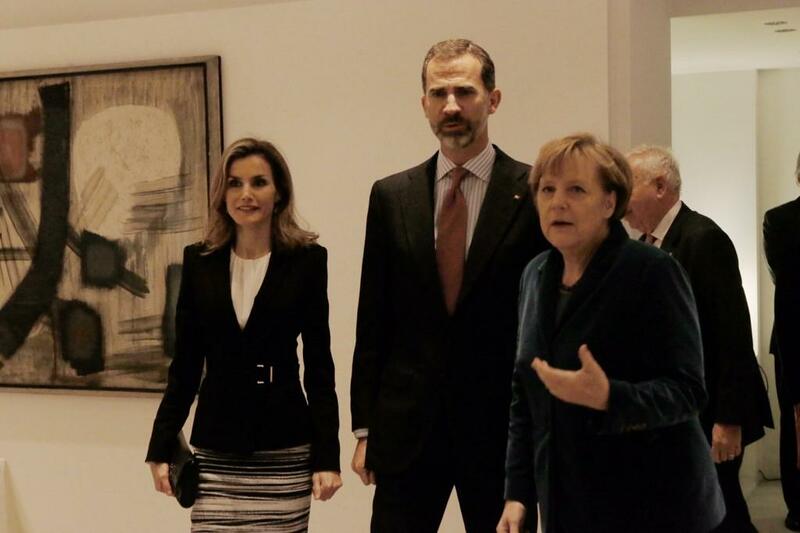 The trips will be completed the next 1 and 2 December in Berlin, where they will have opportunity to meet with German President Joachim Gauck, and the head of government, Angela Merkel. 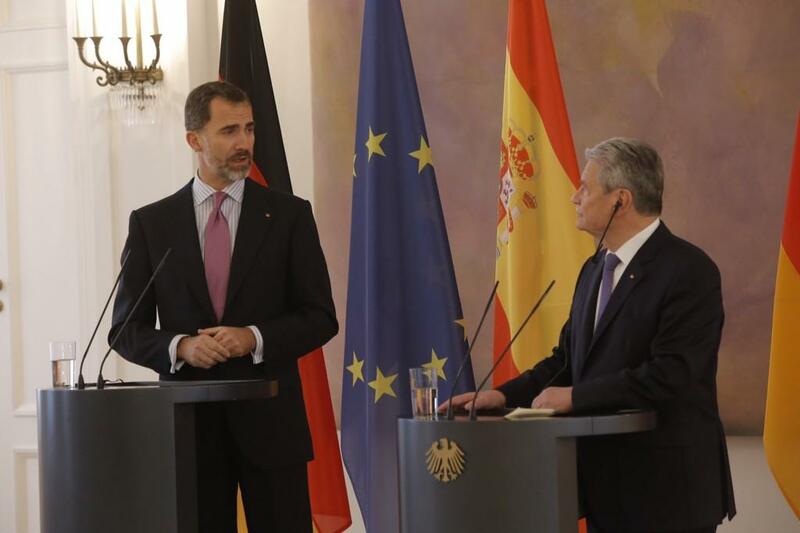 According to the German press, on December 1 they will meet with German authorities in Berlin and on day 2 they will attend entrepreneurial activities in Bielefeld and Gütersloh. 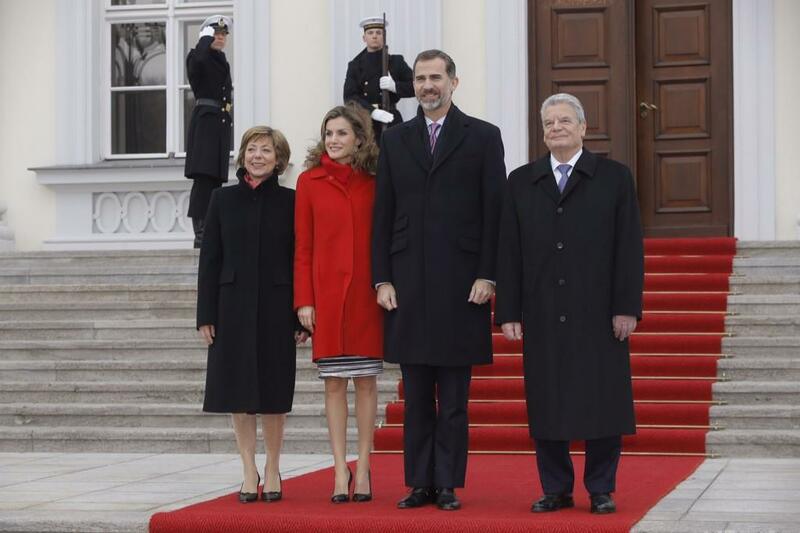 President Joachim Gauck welcomes Felipe and Letizia with military honours at the Schloss Bellevue at 12.30. 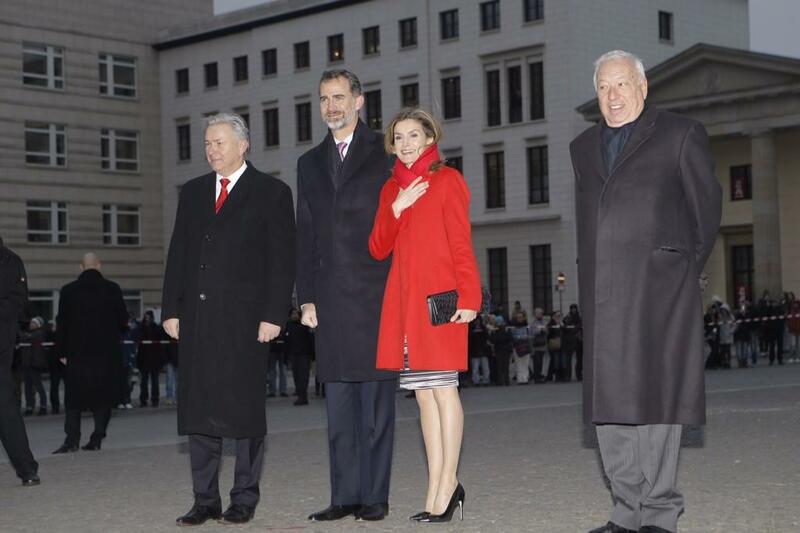 Klaus Wowereit, the mayor of Berlin, welcomes Felipe and Letizia at the Pariser Platz at the Brandenburger Gate at 14.40. 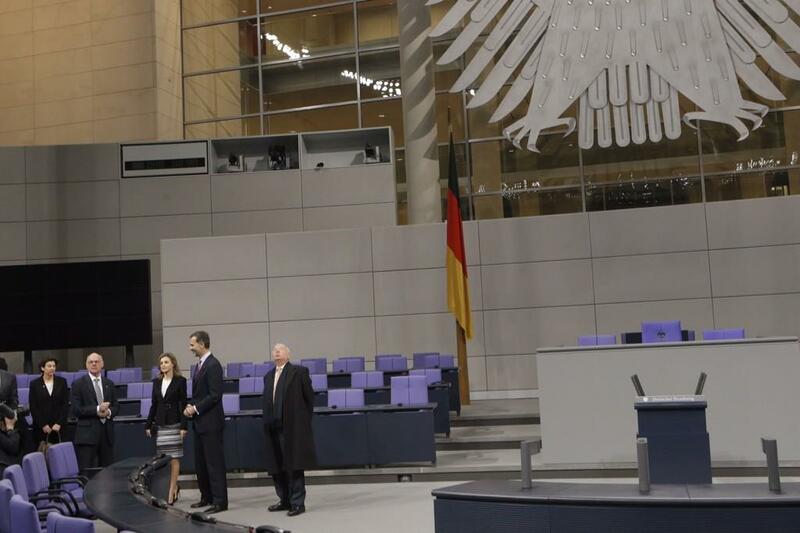 After that they will go to Berlin City Hall. 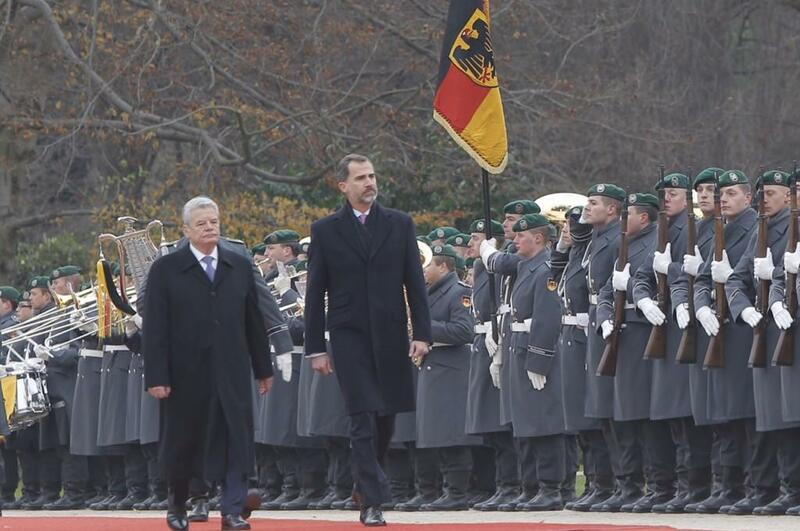 Its quite cold I believe in Berlin hope the King and Queen are wrapped up! 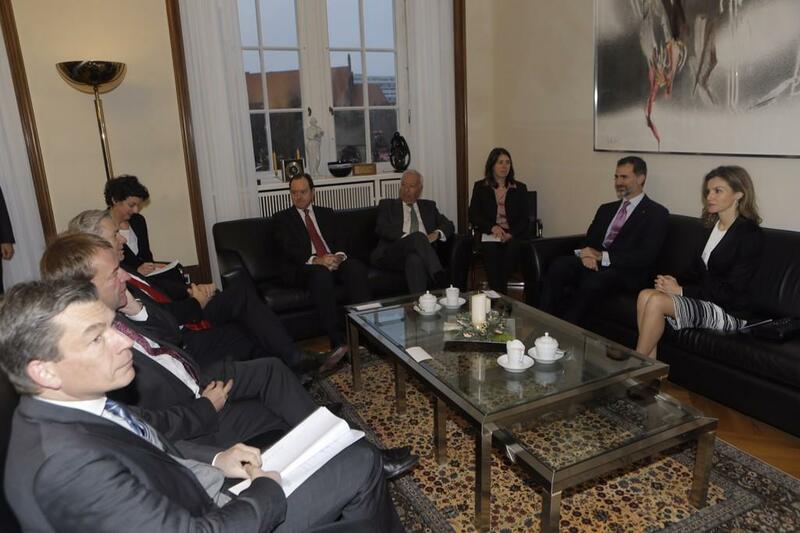 They all look very relaxed and smiling! 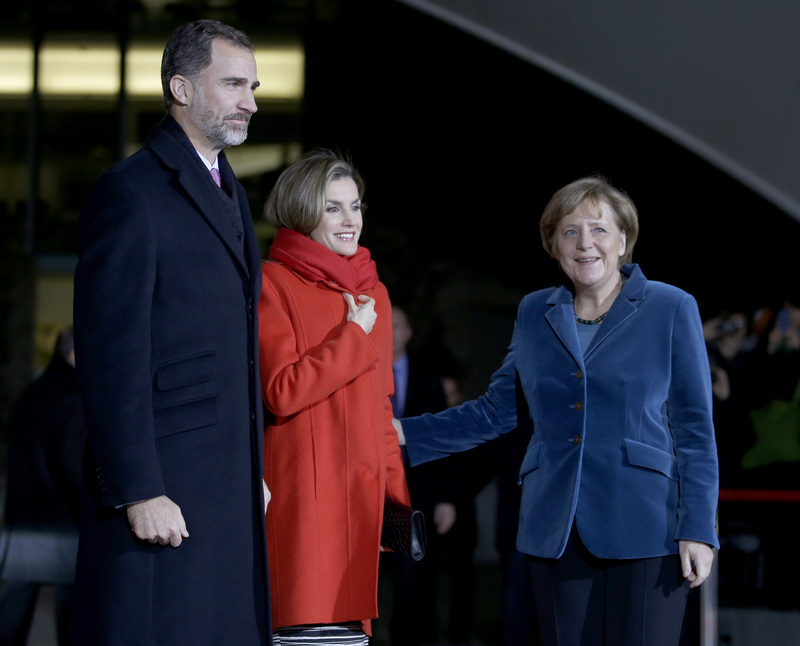 Video, there is first just talk, Felipe and Letizia arrive at 6.00. They all seem to be freezing during the welcome ceremony. Nice colour for the queen, red suits her very well. 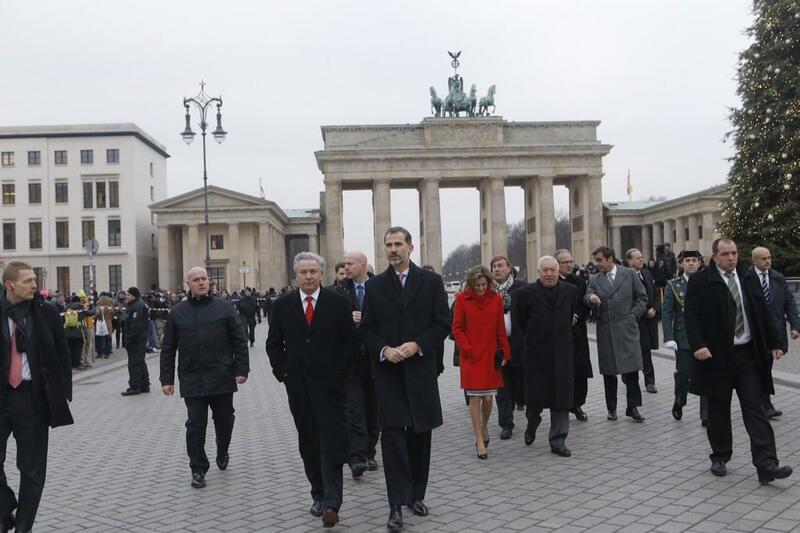 I know they visited the Brandenburg Gate already, but I wonder if Felipe and Letizia will visit it at night sometime. I visited Berlin with some friends a few years ago, and we saw the Brandenburg Gate at night and it was spectacular. I loved how it illuminated in different colours. 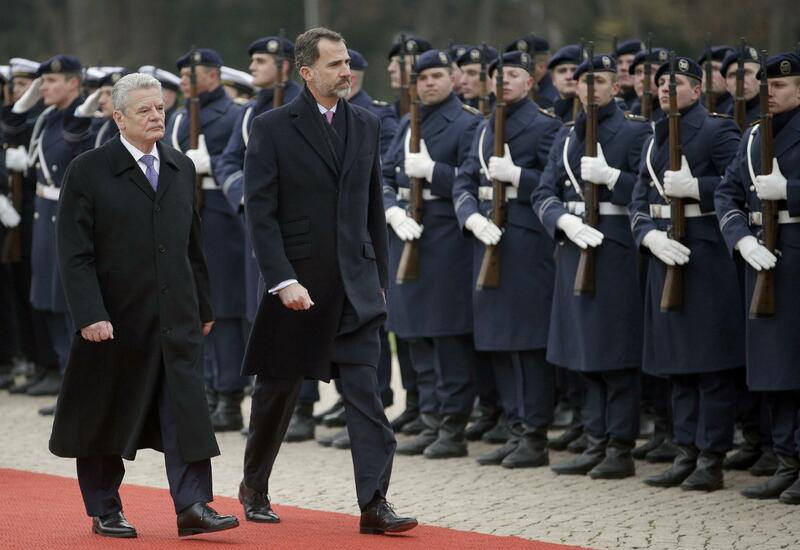 I also wonder if Felipe and Letizia will visit Charlottenburg Palace, it's one of my favourite Royal Palaces. I don't know much about President Guack, but I read that he has a partner, who I think is called Daniel Shack (or something similar). 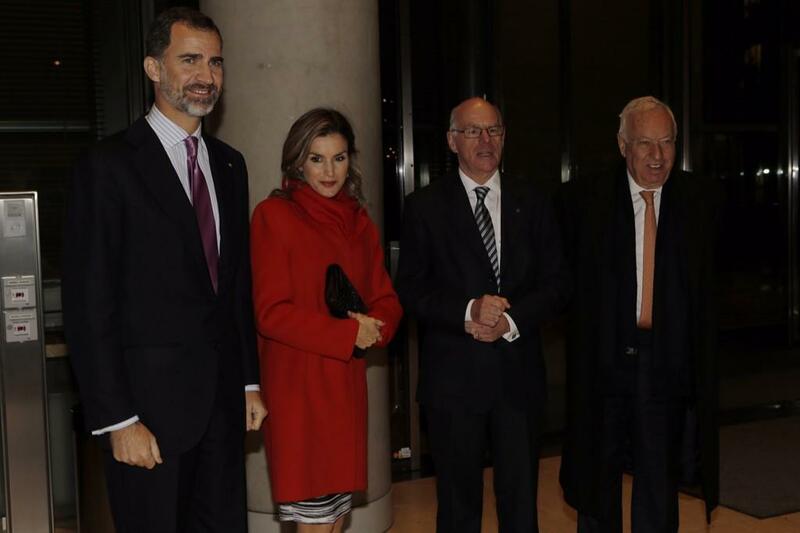 Why wasn't she present at when Felipe and Letizia met President Guack and Angela Merkel? I understand that she is his partner, though I also read that sometimes the President's partner acts as First Lady (e.g. Valerie Trierweiler). Not sure what you mean? 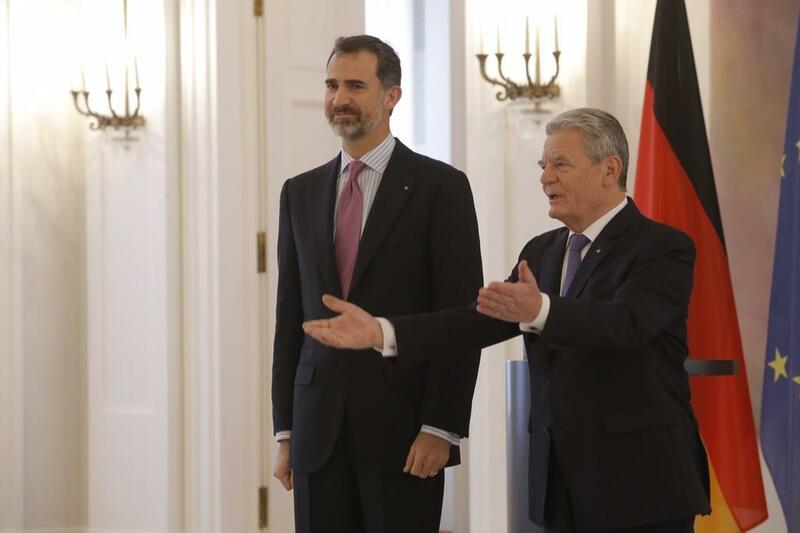 Gauck is in a long-term relationship with Daniela Schadt, a journalist, who acts as first lady. 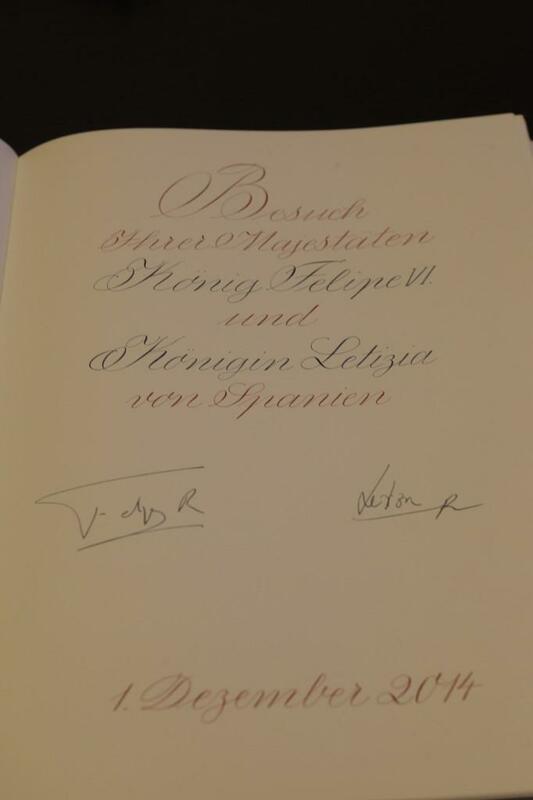 Today, she received F&L together with President Gauck. 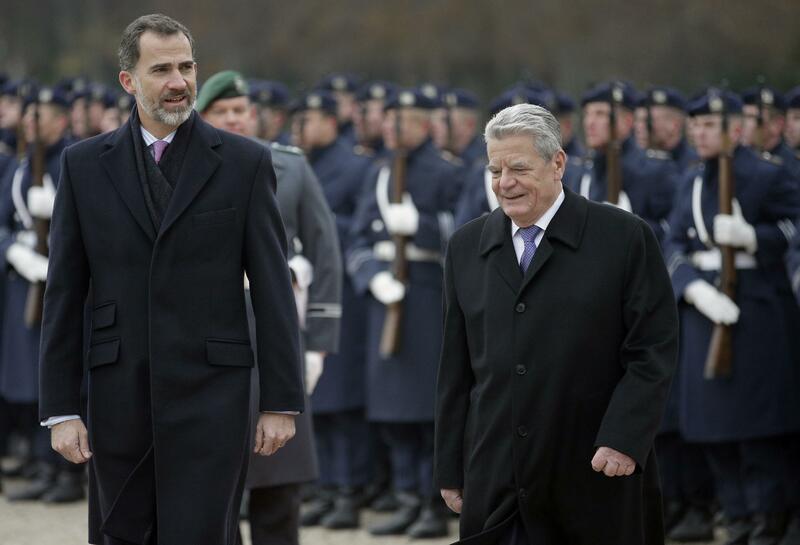 There is some controversy about it because Gauck is a pastor and is still married to his first wife but separated for decades. 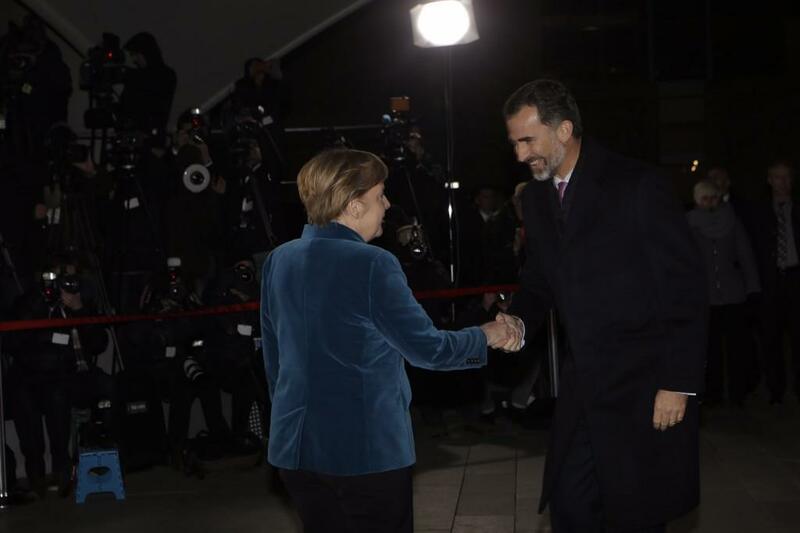 Angela Merkel is married to a Professor of chemistry, a high level scientist. 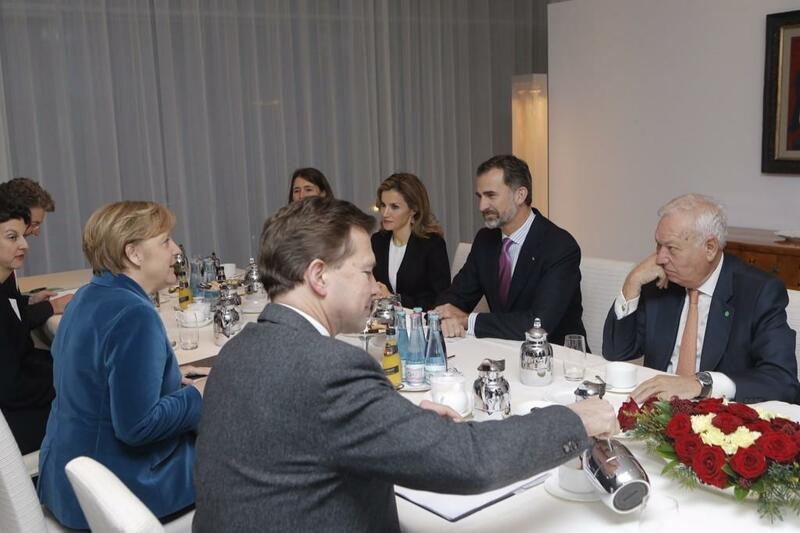 He is hardly ever present in Merkels work life. 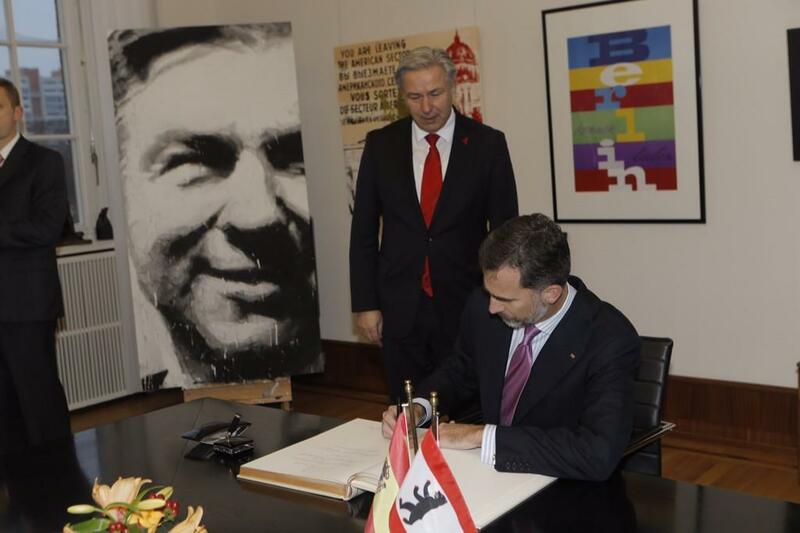 The Mayor of Berlin, Klaus Wowereit, is gay and has a partner. Sometimes he is present but today he wasnt.